Out on the water, there's a sense of privileged freedom you won't find anywhere else. 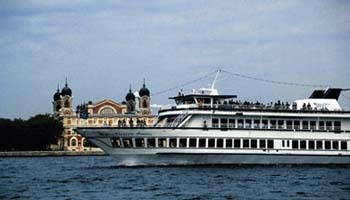 The Princess has three decks furnished with casual tables and chairs. Full Size bars on all decks. Sit-down dinning for up to 350 guests, and cocktail parties for up to 500.